We proudly have a A+ rating from the Better Business Bureau. No rating from the BBB. Returns are easy here. We want you to be happy with your purchase. All non-personalized and non-filled products are returnable for up to 30 days. Charge up to a 15% restocking fee for returned items. 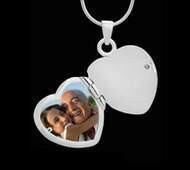 Keepsake Jewelry, Cremation Jewelry and Photo Engraved Jewelry is all we do. We are experts in these areas. 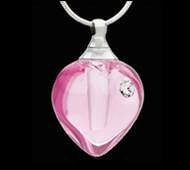 Our attention is 100 percent devoted to Jewelry. Often sell cremation urns, caskets, headstones among other memorial items. 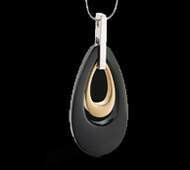 Jewelry is simply an additional memorial item they offer. 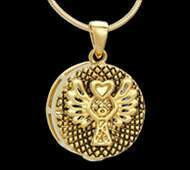 Versatility is key and at Jewelry Keepsakes, we have 20+ different categories and styles of cremation jewelry. This allows our customers to choose the one that appeals to them the most. 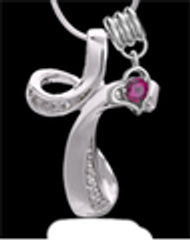 Limited styles and categories of jewelry available. 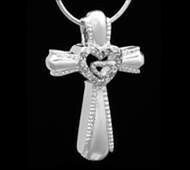 Jewelry Keepsakes provides multiple photos of our cremation jewelry on each individual item, giving customers a close up view of the keepsake from different angles. We want what you see to be what you get! Offer one picture of the keepsake, or at best one of the front and one of the back. 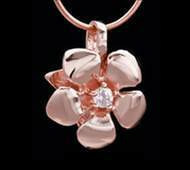 Our cremation jewelry is personal and the quality should reflect the personal nature of the jewelry. 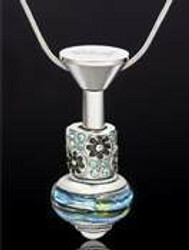 We meticulously design and inspect each keepsake to meet our high standards. Not as personal. Several novelty items and not as high quality craftsmanship. 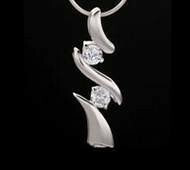 We carry several keepsakes that are rhodium plated over sterling silver. 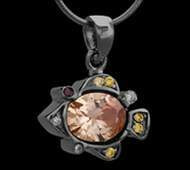 This allows for a not only a brilliant shine but also enhanced durability of the keepsake. 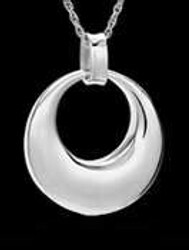 Sterling silver or other metal jewelry with no rhodium plating. 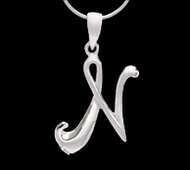 We show exactly how many lines of text can be engraved and give font examples, allowing for ultimate personalization of your pendant. Many competitors do not show or offer additional text personalization. Add one line or add four - the price doesn’t change. 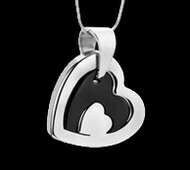 Multiple lines of engraved text can be added for a flat fee. Additional $5 per line of text after 2 lines of text with several competitors. We give an accurate and complete description of the jewelry you are buying, what is included with your jewelry, and instructions on how to fill on each product page. We want you to know exactly what you are getting. Limited information and generic product descriptions that are the same for many products. We offer several different lengths of chains. Additionally, our chains are available in different plated finishes so you can mix and match to find a combination or length that appeals to you. 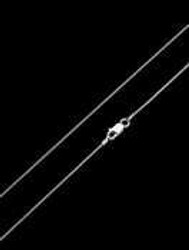 Our necklace lengths are shown on a graphic and have a detailed description to give customers an idea of where the necklace will lay. No graphic given to display necklace lengths. 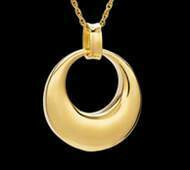 A beautiful 20” matching chain is included FREE with every pendant selection. A chain may or may not be included. We include a filling and sealing kit with your purchase. The funnel is a hard plastic funnel and we also include filling sticks that help with adding the ashes. A small tube of adhesive also is included. Generally no filling and sealing kit. If a funnel is included it is typically a paper funnel that the customer has to hold together. while filling. 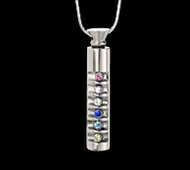 Most of our cremation jewelry has a small threaded screw that keeps the memorial safe inside the jewelry. We include a FREE small screwdriver to remove the threaded screw if it is needed. No screwdriver included or you are charged additional for the screwdriver. 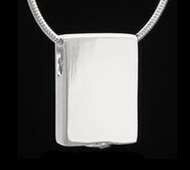 Filling cremation jewelry is an emotional and personal task. 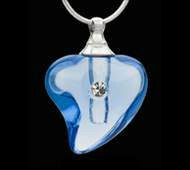 We have videos that not only describe the pendant but also videos on how to fill the cremation jewelry. We take the guess work out of the process. No videos, or videos that exist but are difficult to find on the website. 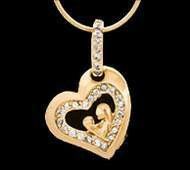 We offer discounts and coupons on all of our cremation jewelry, even our 14K Gold items. Our goal is to offer families the highest quality and the best value for their money. We proudly display links to our coupon page all over the website. Coupons or promotions on only certain items, if at all. 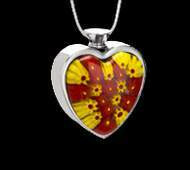 All of our cremation jewelry is packaged in a jeweler’s gift box and two piece presentation box. A gift presentation box is not included. 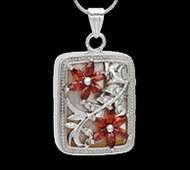 Jewelry may come in a velvet box or a velvet pouch. 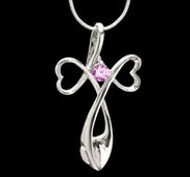 Place your order before 12:00 noon MST and we ship same day - even with engraving! 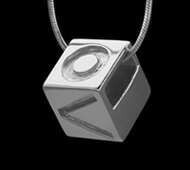 Engraving can take up to one week, which delays your order. Fees may apply for rush processing. 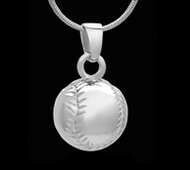 Our flat rate shipping is $7.99 regardless of how many keepsakes you order. We have several coupon codes available to offset the shipping cost, including a code for Free Shipping. Delivery is 5-7 business days and often times sooner. Shipping costs calculated by weight and can be as high as $20 or greater for standard shipping. We offer both overnight and two day shipping. Our shipping charge is the same regardless of the number of items ordered. Additionally, we ship worldwide! If special shipping arrangements need to made, our staff will kindly offer that assistance. Shipping options may be limited and often times are calculated by the number of items purchased. We are involved every step of the way. We work directly with our manufacturer on designs, concepts and quality and are not afraid to go back to the drawing board. 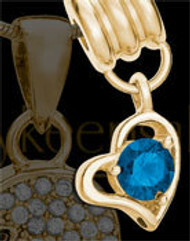 Our feeling is that any jewelry purchased from our company is being used to honor and cherish a memory. Our high standards in product are a reflection of how important and special your memories are and we consider it a privilege and an honor that you’ve chosen our company to represent those memories. So from concept to manufacturer to finished product to packaging to shipping - we are involved every step of the way. At the end of the day, we care. We have suffered losses ourselves. We have families, pets, close friends and we have experienced heartache and grief and sadness. And we are committed to giving back and helping those that are hurting. We give each customer, each email, each phone call our full attention. We truly want our customers to find some comfort, to have a way to cherish a memory of their loved one. If we have eased the grief just a little for one person, for one family, made a small difference - that’s our driving force. 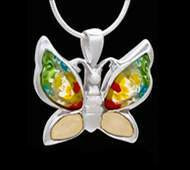 We are one of the only retailers of cremation jewelry. It’s our specialty. No cremation urns, no cremation art, no headstones or anything of that nature. Our thought is that if you invest your time, your focus and your energy into one area of expertise, into one singular passion, it allows you to give 110% to your customers. 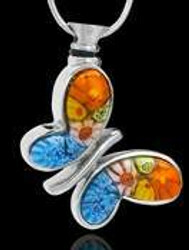 We are experts at cremation jewelry and in an effort to provide exactly what our customers want in terms of quality, affordability and variety - we are sticking to what we do best.